Powers, CO 1800 M St Washington D.C. 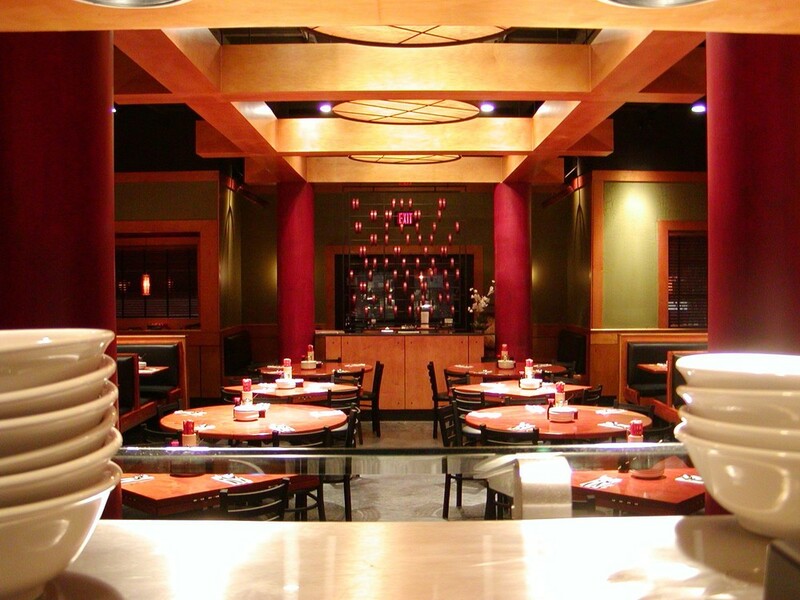 The interior design maintains a strong Asian theme throughout, consistent with the restaurant fare. Various seating options are available for patrons, including dining room and bar seating. The design features an open kitchen cooking display.